Space is mind-bogglingly vast, and it's practically impossible for our puny brains to comprehend just how huge it really is. 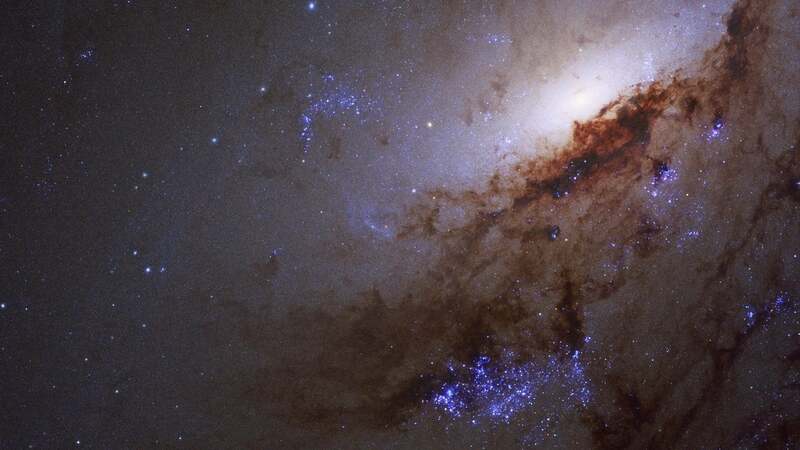 Using the Hubble Space Telescope, an international team of astronomers has completed an exhaustive survey of star-forming galaxies in the local Universe. The resulting catalogue won't help you fathom the immensity of the cosmos, but at least you can enjoy the pretty pictures. To help in this regard, an international team of astronomers launched the Legacy ExtraGalactic UV Survey, or LEGUS. 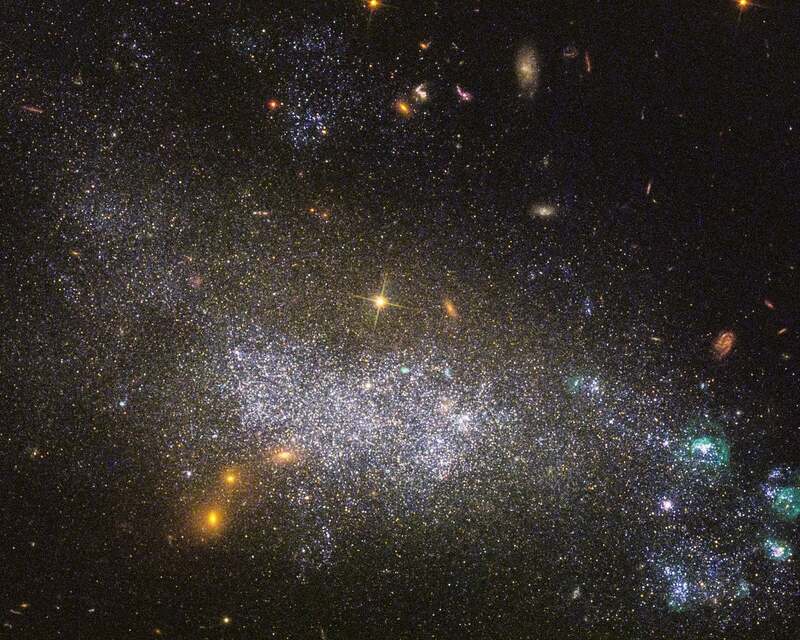 By leveraging the ability of the Hubble Space Telescope to detect both visible and ultraviolet light, the LEGUS team managed to capture extraordinarily detailed images of the local Universe. 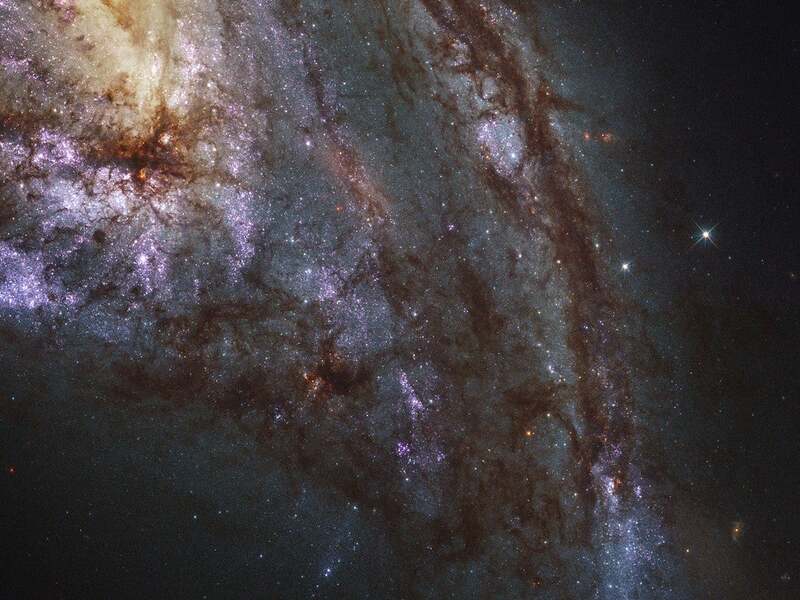 Over a one year period, the astronomers used Hubble's Wide Field Camera 3 and its Advanced Camera for Surveys to capture the finer details of nearby galaxies, including star clusters, spiral arms and individual stars themselves. And in fact, it's now considered the most comprehensive ultraviolet-light survey ever done of nearby galaxies. It's actually hard to grasp what these astronomers were able to accomplish. The LEGUS team scanned 50 local galaxies ranging from 11 million to 58 million light-years from Earth. By combining new Hubble observations with archived Hubble data, and by overlaying image taken from both visible and ultraviolet light, the researchers attained remarkable observational clarity. "There has never before been a star cluster and a stellar catalogue that included observations in ultraviolet light," said team leader Daniela Calzetti of the University of Massachusetts, Amherst, in a statement. "Ultraviolet light is a major tracer of the youngest and hottest star populations, which astronomers need to derive the ages of stars and get a complete stellar history." 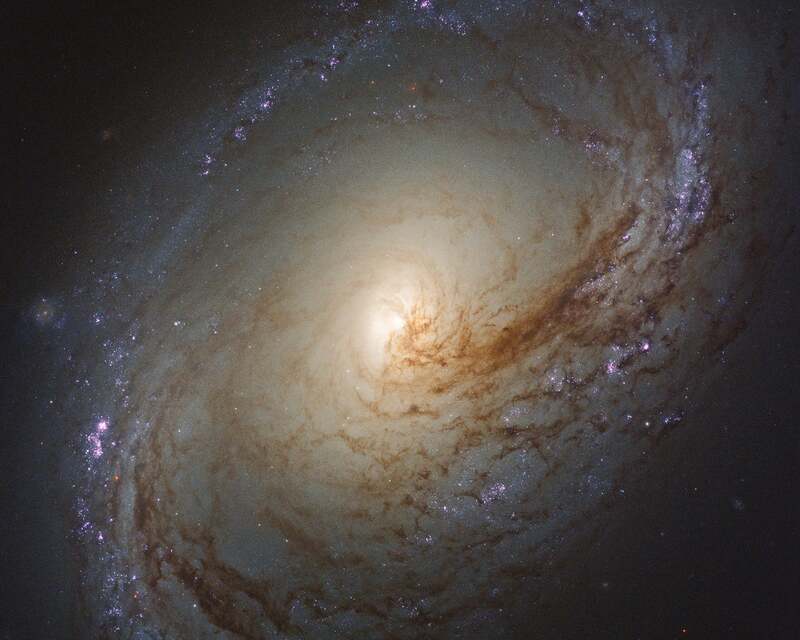 Spiral galaxy Messier 66, located about 35 million light-years away. "Like all the galaxies in LEGUS, Messier 66 is undergoing vigorous star and star-cluster formation," write the Hubble scientists. "One of the goals of LEGUS is to sample star-forming regions across each galaxy. 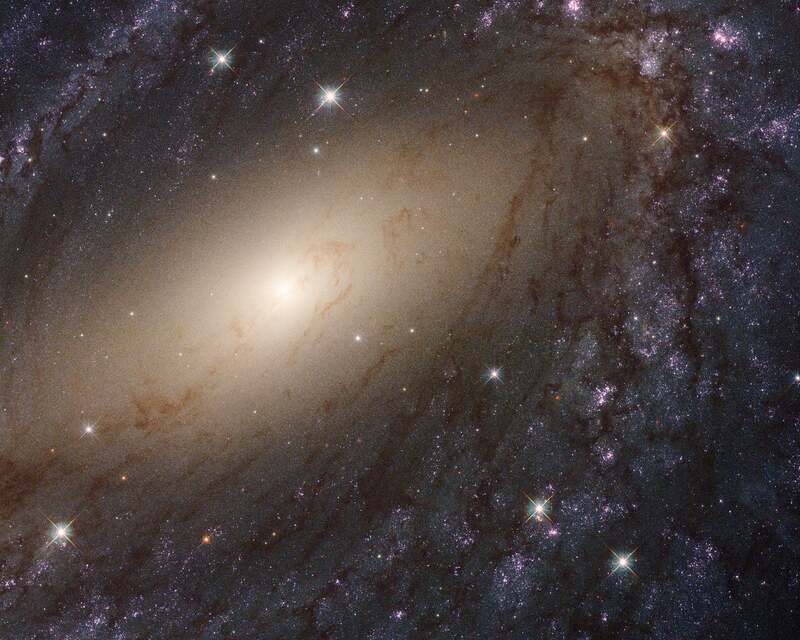 Because the galaxies are relatively close to Earth, Hubble can resolve individual stars." The resulting catalogue contains about 8,000 young clusters, with ages ranging from one million to roughly 500 million years old. An astounding 30 million stars were catalogued, all of them at least five times more massive than our own Sun. These stars are between one million and several billion years old, the youngest of which shine prominently in ultraviolet light. The new catalogue will now provide detailed information for astronomers about young, massive stars and star clusters, and how their environment influences their development. 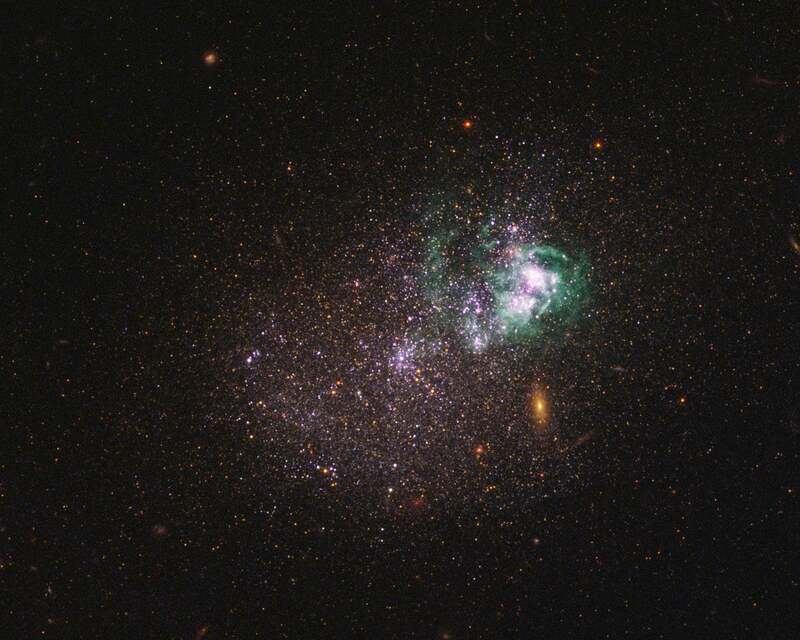 "By seeing galaxies in very fine detail — the star clusters — while also showing the connection to the larger structures, we are trying to identify the physical parameters underlying this ordering of stellar populations within galaxies," said Calzetti. "Getting the final link between gas and star formation is key for understanding galaxy evolution." Messier 96, also known as NGC 3368 — a spiral galaxy about 35 million light-years away. The images produced by the LEGUS team are brilliant, and it's hard to fathom what we'll see once the James Webb telescope begins its work. The future of astronomy looks exceptionally bright. And for those of you hoping these pictures are big enough to use as your desktop wallpaper, you're in luck. 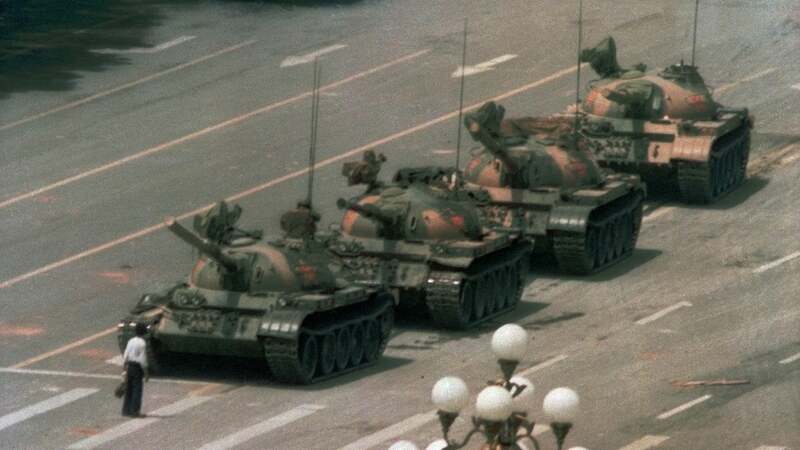 Go here to download high-res images.